From December 6 to 12, fans can vote for their favorite holiday ornament in the “Christmas with Hogwarts Mystery” Event in Harry Potter: Hogwarts Mystery. 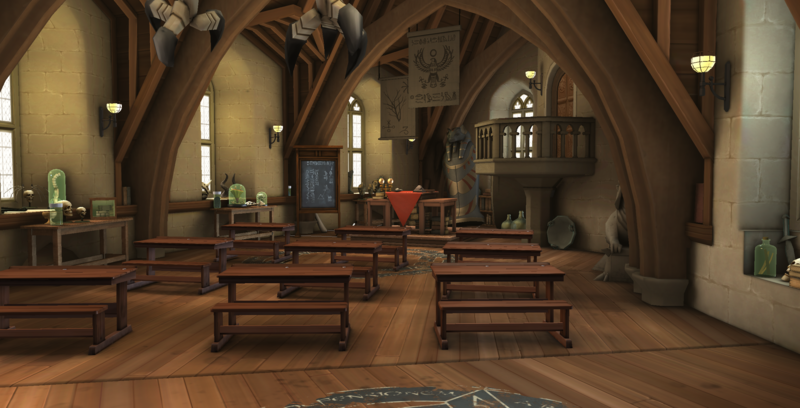 In Harry Potter: Hogwarts Mystery players have their first opportunity to create a character and attend Hogwarts School of Witchcraft and Wizardry. In celebration of Christmas in the Wizarding World, each House’s common room at Hogwarts will feature its own Christmas tree adorned in its respective House colors: red for Gryffindor, green for Slytherin, blue for Ravenclaw and yellow for Hufflepuff. each of the House Christmas trees unveiled in-game on December 13.
real-world replica of the winning tree ornament featured in this festive, in-game activity. To participate in the “Christmas with Hogwarts Mystery” ornament activity, and to connect with other fans visit Facebook, Twitter, and Instagram. For more information visit www.HarryPotterHogwartsMystery.com/. Forest in Year Four, the Dark Arts are present amidst the safety of classes and celebrations at the venerable school. As Year 5 unfolds, players will head into new territory – and mischief – exploring decidedly dodgy areas like Knockturn Alley. Back on school grounds, players will learn from new professors like the lauded, but legendarily long-winded History of Magic Professor, Cuthbert Binns and the identity of the new Defense Against the Dark Arts professor will be revealed. Outside of classes, players will cross paths with more members of the Weasley clan and other familiar characters from the Wizarding World. 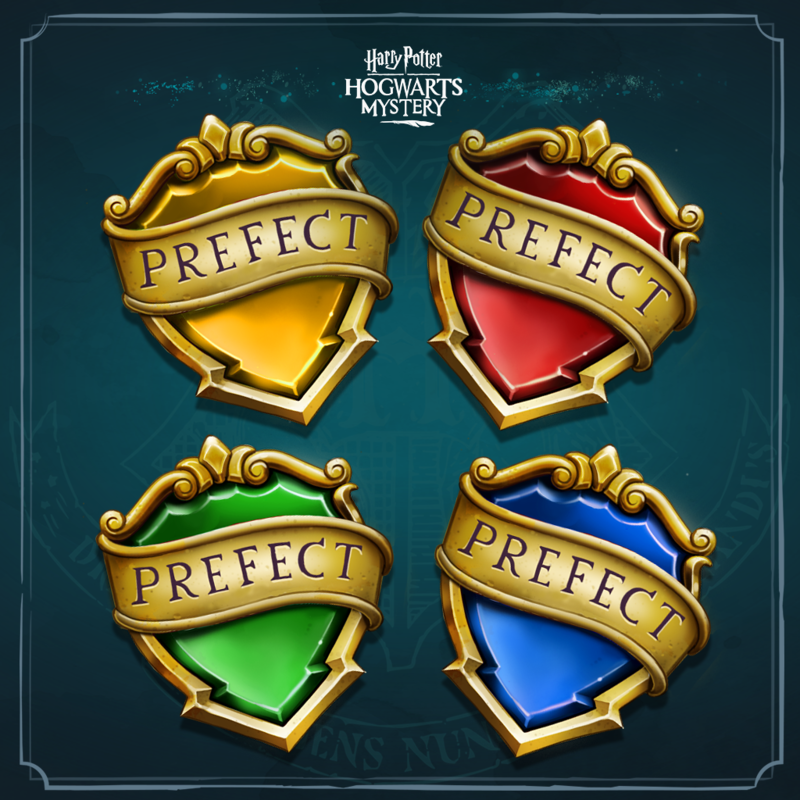 visit www.facebook.com/HPHogwartsMystery/, www.twitter.com/HogwartsMystery, and for more information visit www.HarryPotterHogwartsMystery.com/. Wands at the ready! 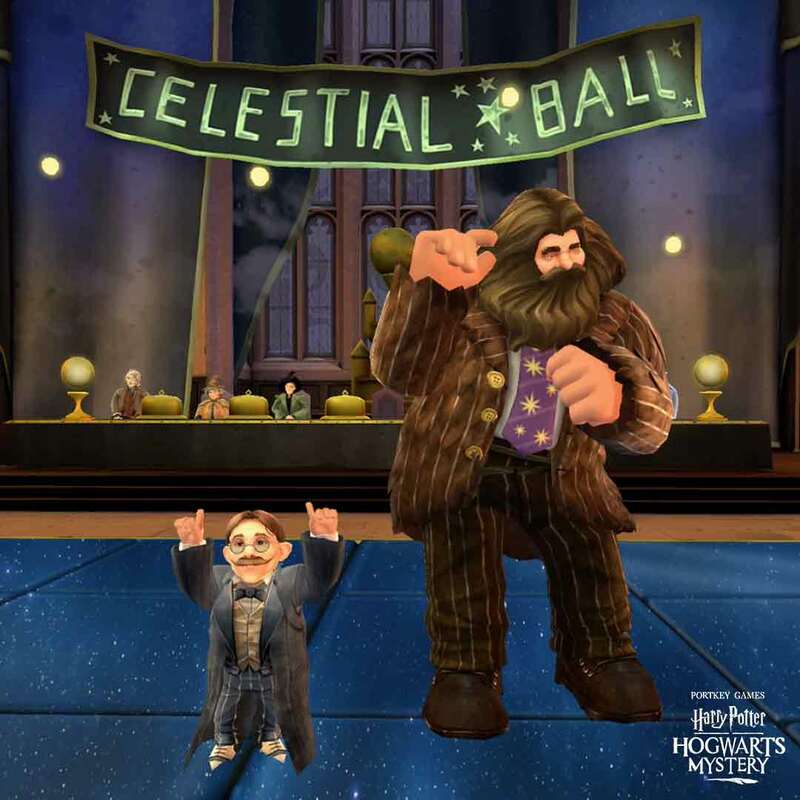 Players of the mobile game Harry Potter: Hogwarts Mystery have learned important defensive spells in their first few years at Hogwarts School of Witchcraft and Wizardry. From Expelliarmus, the disarming charm, to Flipendo, the Knockback Jinx, players have studied a selection of spells that are vital for duelling victory. Today, players can put their spellcasting prowess to good use in the first of a series of multiplayer limited time events in the game, the Duelling Club. The first official Duelling Club event starts today for Facebook Connected players and runs through July 15th, 2018. Additional Duelling Club events will take place in the game through the summer months. 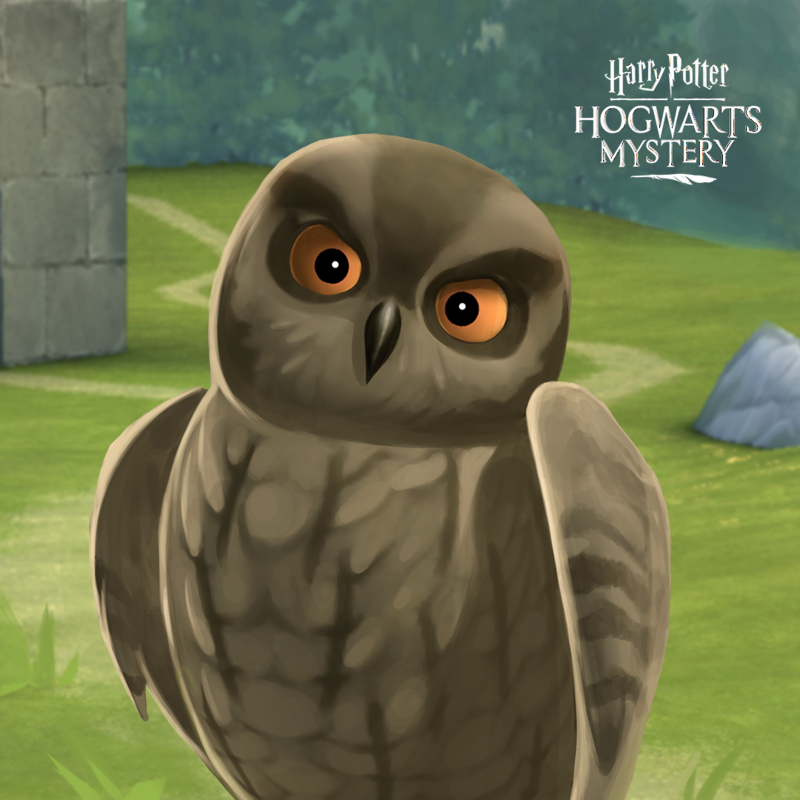 For more details on Harry Potter: Hogwarts Mystery and to connect with other fans, visit facebook.com/HPHogwartsMystery, twitter.com/HogwartsMystery, and for more information visit HarryPotterHogwartsMystery.com. Harry Potter: Hogwarts Mystery Introduces New Feature! 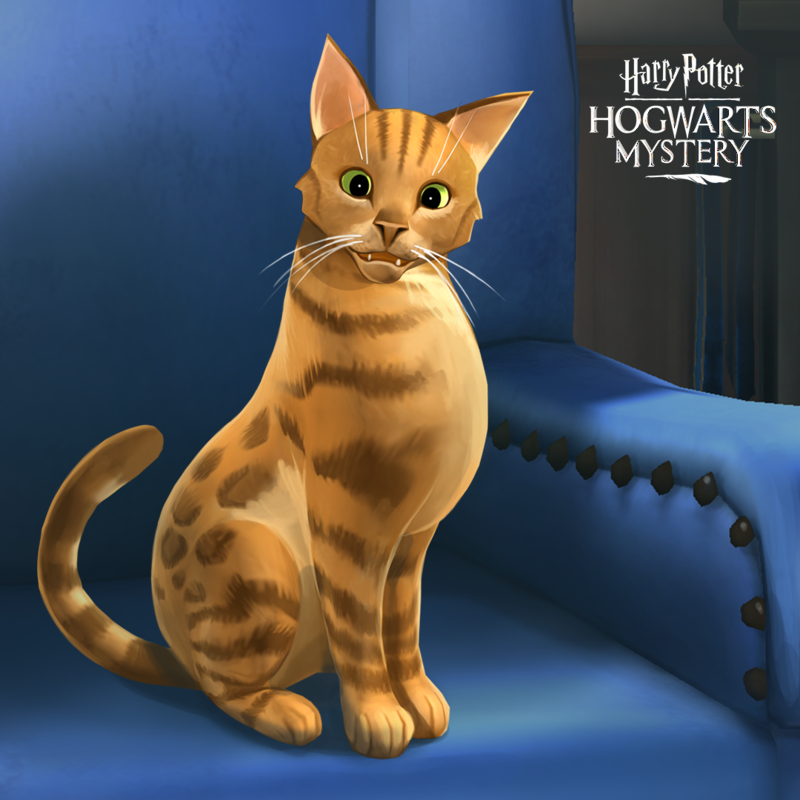 Harry Potter: Hogwarts Mystery, Portkey Games’ new mobile game, gives players the opportunity to create a character, and attend Hogwarts School of Witchcraft and Wizardry as a student, attending classes, making friends, earning House Points, and of course, solving mysteries! The game is set in the 1980s, seven years before Harry Potter’s first day at Hogwarts. 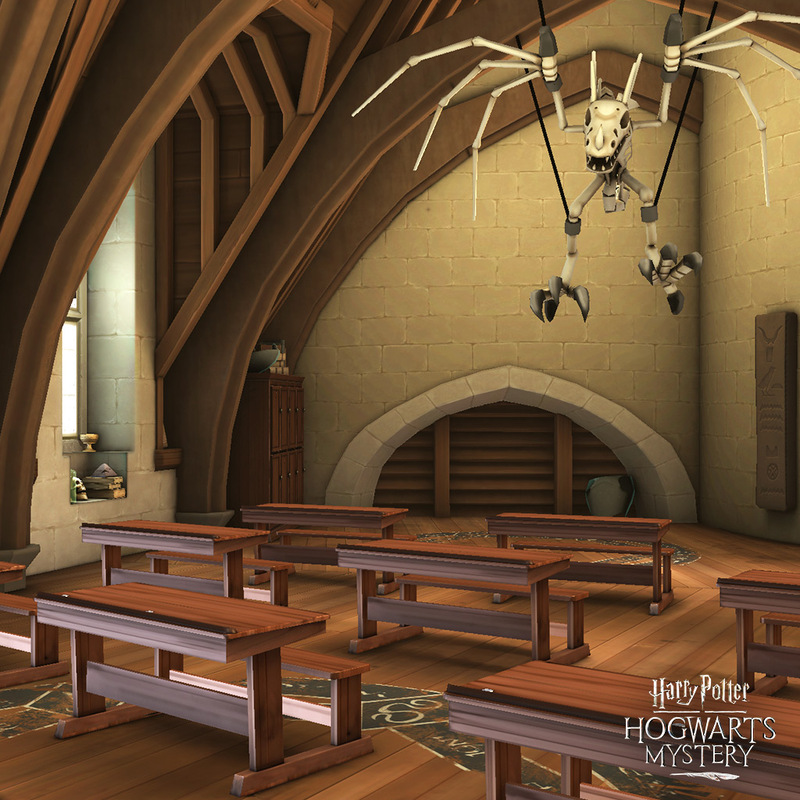 Players will explore the halls and grounds of the school, and meet both new characters — like your Slytherin nemesis in the game, Merula – and beloved characters from the books and films like Dumbledore, Snape, Flitwick, McGonagall, Hagrid and many more. Today they’re introducing a new feature to the game: pets! From the adorable boarhound puppy, Fang, to the feisty but devoted feline, Mrs. Norris, pets are a beloved part of life at Hogwarts School of Witchcraft and Wizardry. 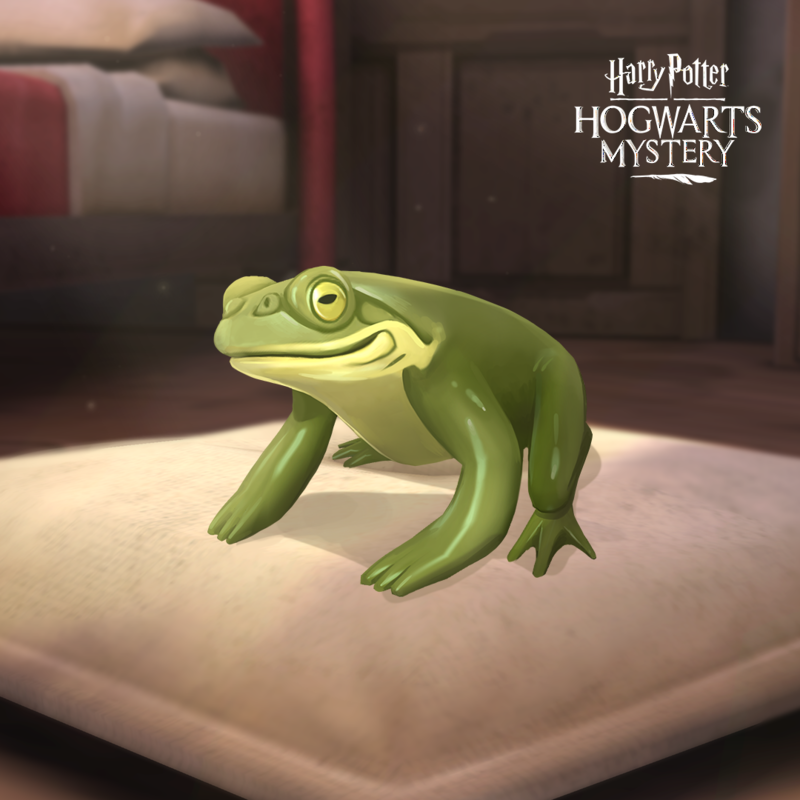 Starting today, players of the mobile game, Harry Potter: Hogwarts Mystery, can have critters of their own! 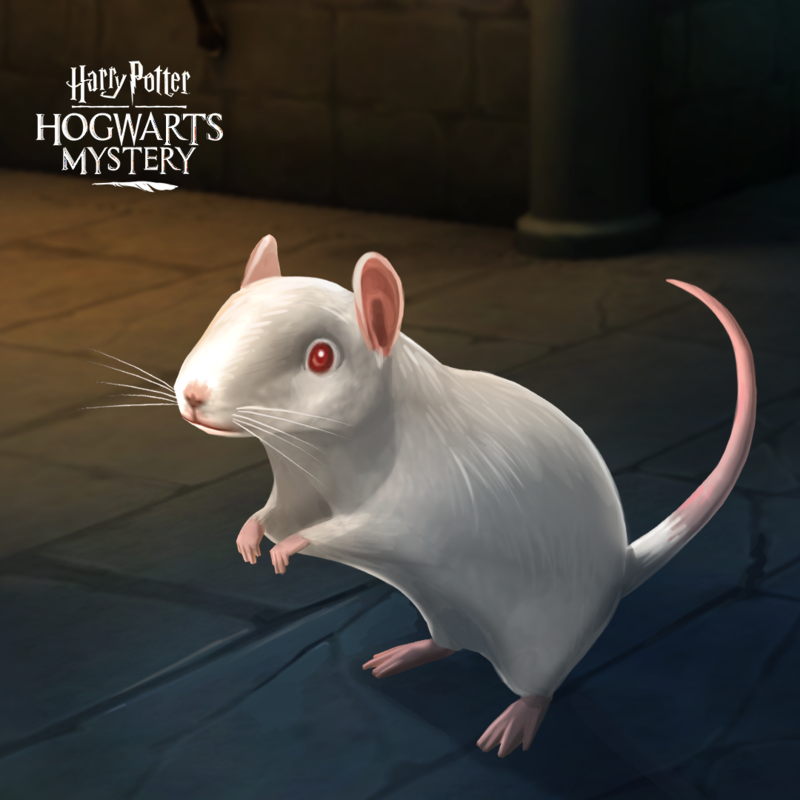 Selecting between the popular picks of Owl, Rat, Cat and Toad, players can now choose a pet to join them in their adventures as a student at Hogwarts. Players can own up to four pets in the game, one of each kind, which will lounge and nap in their house dormitory. 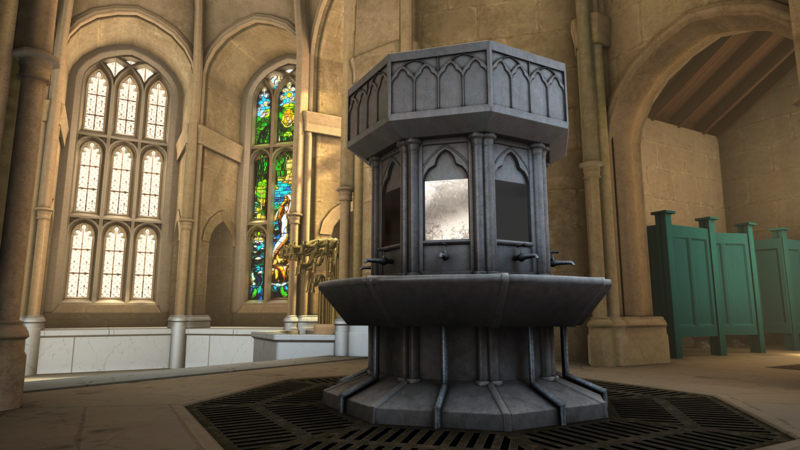 Equipping one animal friend at time, a pet can join players at locations around Hogwarts and its grounds. In addition to companionship, pets provide players with an energy boost when they’re awoken from slumber. With today’s addition, players can join the likes of pet-loving Hagrid and Mr. Filch, gaining a friendly animal friend to join them in their exploration of Hogwarts and their new dormitories.